Brazil's women's volleyball team made some highlight-reel plays in Thursday's preliminary-round match against Puerto Rico at the Pan Am Games. Brazil's women's volleyball team made two highlight-reel plays to save points in Thursday's preliminary-round match against Puerto Rico at the Pan Am Games. First, one of Brazil's players couldn't quite get to the ball with her hands, so she used her foot. Later in the match, Puerto Rico thought it had won the set before a Brazilian player made a play from her back along the baseline to keep the point alive. 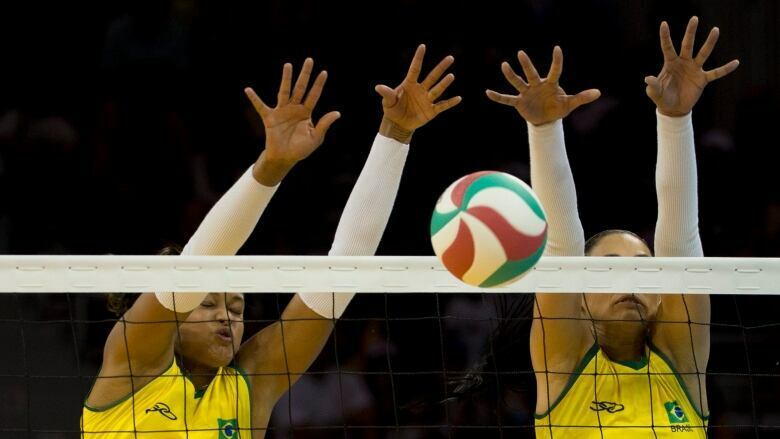 The big plays paid off as Brazil won in five sets.